Sun Lakes AZ is a Great Retirement Community! Sun Lakes AZ retirement community is a top choice for retirees looking for homes. Comprised of five separate communities with just under 10,000 homes, Sun Lakes offers a great lifestyle. Sky Harbor International and Mesa Gateway Airports is located a half hour from Sun Lakes. And, is convenient to all major freeways, shopping, medical facilities, and restaurants. Finding a home in Sun Lakes AZ is not an easy task in our strong, seller’s market. Consequently, with inventory at low levels, it is difficult to find homes for sale. We will help you find the community and home of your dreams. And, a variety of styles are available to consider. For instance, choose from a villa that has one shared, common wall or a single family residence. Sun Lakes Country Club, the oldest of the communities, offers manufactured homes at an affordable price. Homes in Sun Lakes range in size from 1,000 square feet to over 3,400 square feet. Single-level homes are mostly preferred. On the other hand, some like more space in the two-level where the master suite and living space are located on the first level. Two bedrooms and a bath are on the second level. With that in mind, let’s explore the different communities and their unique features. Sun Lakes Country Club is the first to be built in the 1970’s. It stands alone as its own community and homeowner association. 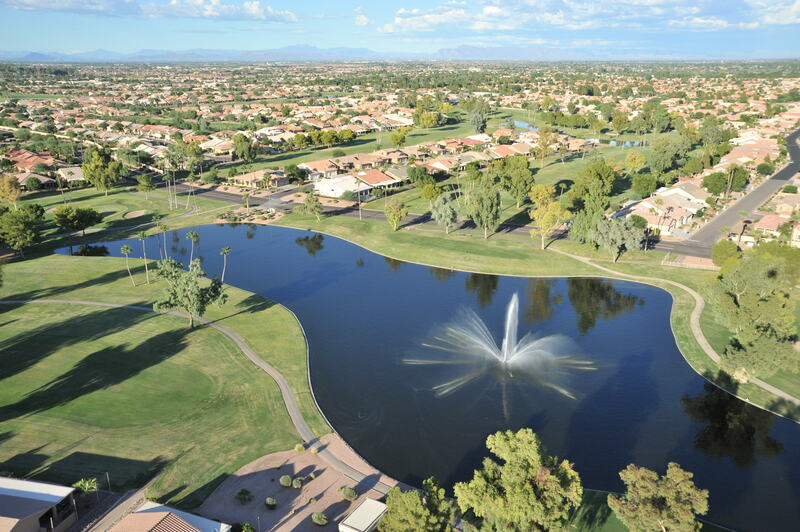 Followed by Cottonwood Country Club and then the first of the gated communities was Palo Verde. They share a homeowner association. Ironwood and Oakwood Country Clubs are also gated and the last of the five communities, Known as IronOaks, these two also share a homeowner association. Each community has its own amenities including golf course, tennis, pickle ball, fitness center, clubhouse with restaurants and bar and more. Therefore, it is important to take a tour of each community to get a feel for what appeals to you. Ironwood is the smallest of the communities with 734 homes. Palo Verde has 1,073 homes. Some prefer a smaller close knit community with access to the other amenities as well. A visit to each of the five communities will help you determine which will best fit your lifestyle. Ready to find your next home in a Sun Lakes AZ retirement community? Contact us here or call 480-440-0849. And, watch the short video below to get to know your Sun Lakes AZ Realtor team. Leave us a comment or question about Sun Lakes AZ and we will get right back to you! When I’m ready for a move to Sun Lakes, I will definitely use The KOLB Team! Thanks for providing such great information on the community. Your knowledge of the different communities is exactly what I’ll need to make the right choice for me and my family.